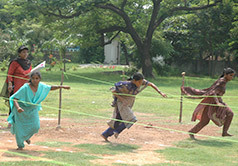 According to recent statistics there are 43 million visually challenged people in India. 15 million are totally blind and 28 million visually impaired. This account of 25% of global blind population. The number keeps increasing due to various factors like accidents, negligence or wrong medication, diseases, malnutrition, violence etc. The needs of people with visual disabilities are enormous. Poverty, lack of opportunities, rejection from families and the absence of God in their lives paint a gloomy, hopeless future. 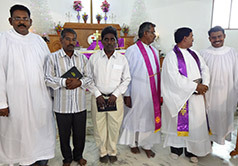 Mission To The Blind is a Christian mission working among the visually challenged people in India with a goal to bring them into the mainstream of the Church and Society. It’s a nationwide expression of God’s love and concern. Message: Please leave this field empty.